During the cold war era the Canadian Forces used the C5 GPMG, it was the squad GPMG and was also vehicle mounted, it was the American M1919 Browning design from WW2 but in 7.62 NATO. I have always wondered what the three holes on the side of the receiver plate were for, is this an attachment for some type of optic. I have used this GPMG back in the day and don't remember ever seeing any type of attachment for this. There is discussion on these holes, and while everybody believes they were meant for an optical sight, nobody has any photos. That said, Canada did use the holes for a bracket which allowed the use of any of the 3 night vision sights from the 70s, thru to about 2000. 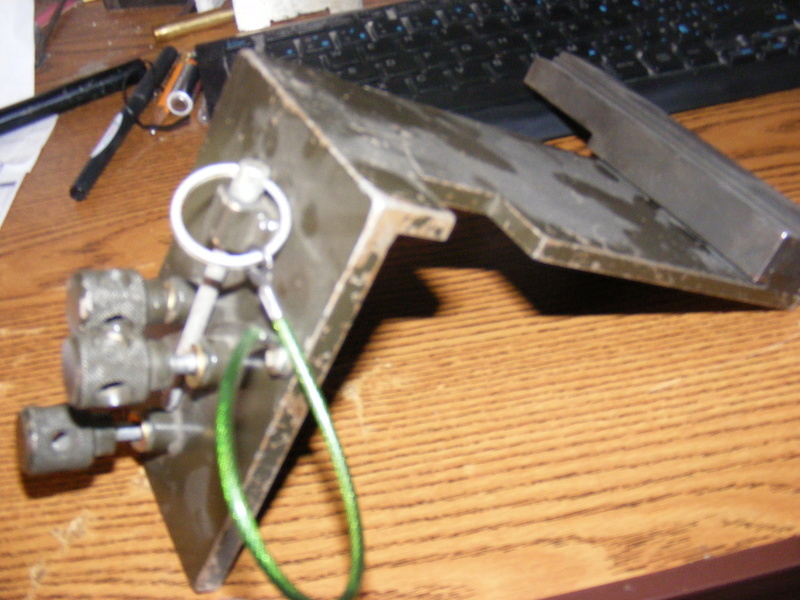 I have the bracket downstairs for my M1919 along with one of the sights. Edited to add a photo of the bracket. 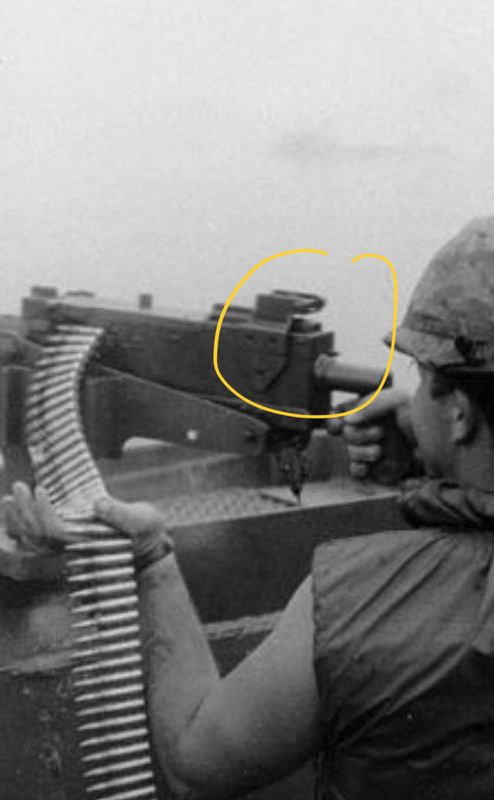 It has an adpater on the original larger rail that allws the use of the night vision sights which had the smaller rail. The normal TVS sight for the 50 and the C5A1 was about the size of an ice cream bucket......the smaller sights were more suitable on the smaller gun. Note that the term "C5" is technically incorrect. The original modifications to the M1919A4 resulted in the C1 model. In the late 80s, modifications to correct shortcomings would have resulted in the guns being designated C1A1. In order to prevent confusion with the FNs, the designation became C5A1. Now all that said, the front of the green operators manual says "C5". However, that will not be found on the sideplate of the guns. The firearms center FRT had an entry for C1, C5 and C5A1. While they had photos of the first and last, they did not have a photo of the C5, since it did not exist.